Summer is BBQ season, and 10Best set out on a mission to find the best barbecue battles, hog fests and smoky celebrations of meat in the nation. We enlisted the help of two BBQ experts to help narrow down the field to the top 20 events and then turned it over to our readers to vote their favorites to the top. Among the biggest free-entry barbecue festivals in the nation, the Best in the West Nugget Rib Cook-off (August 31-September 5) features two dozen of the best barbecue competitors and 240,000 pounds of ribs. The event will also include a craft market, kids area, beer garden and several stages where some 40 bands will play live. 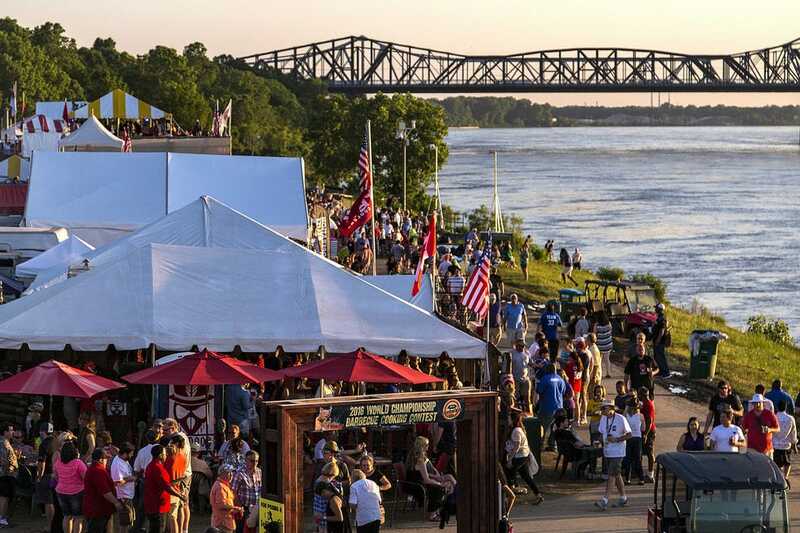 Part of the month-long Memphis in May International Festival, the World Championship Barbecue Cooking Contest (May 12-14) features teams from around the world competing in rib, shoulder, whole hog and patio porker categories. Tutu- and snout-wearing men can also compete in the annual Ms. Piggie Idol singing competition. 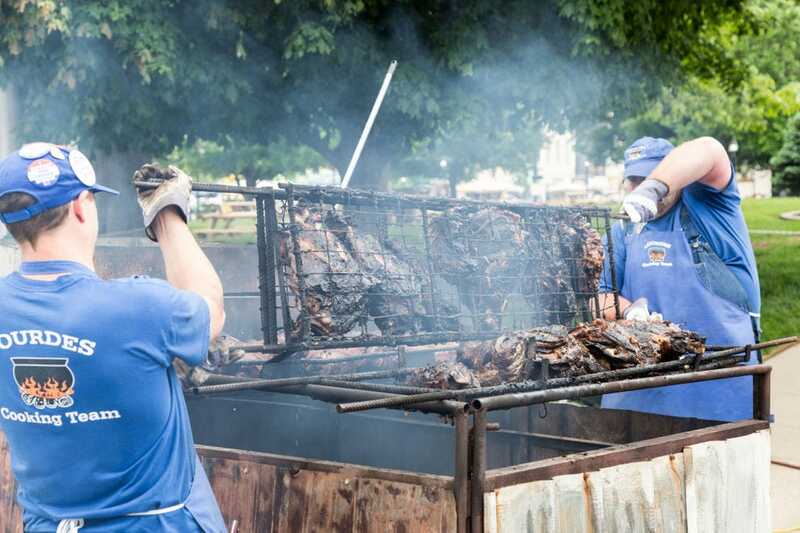 Created in 1979 to celebrate Daviess County-style barbecue, the International Bar-B-Q Festival (May 13-14) gives visiting BBQ enthusiasts the chance to sample regional specialties, like Burgoo and BBQ sandwiches, to the sounds of live music. The festivities also include children's entertainment, craft fairs, fitness competitions and a keg toss. 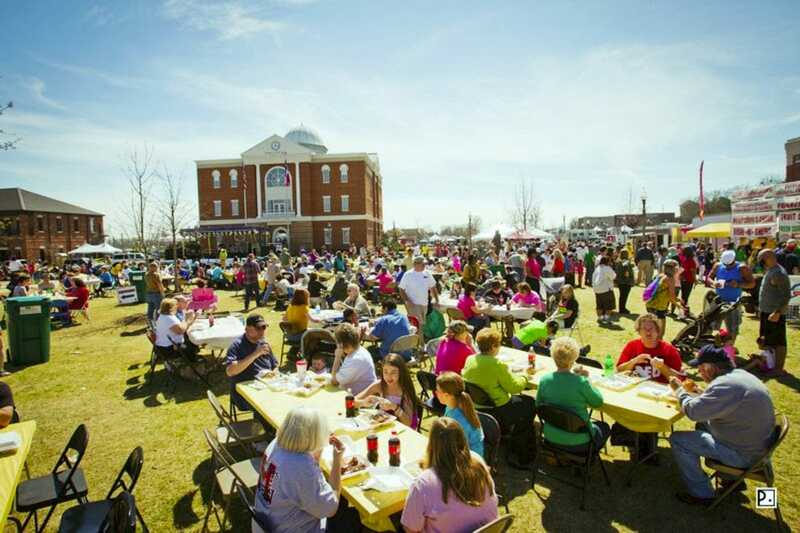 The Tupelo BBQ Duel (March 17-20, 2017) brings 100 teams from around the country to compete in four 'cue categories: chicken, pork ribs, pork and beef brisket. Attendees are treated to free live music, kids activities, a children's parade and a chance to play the judge in the People's Choice tent. The Jack Daniel's World Championship Invitational (October 22) pits barbecue teams against each other in categories like chicken, pork ribs, beef brisket and dessert for the coveted title of Grand Champion. Invitational and amateur cooks compete, while attendees can join distillery tours, cooking demos and a pie auction. There will also be live music, a petting zoo and old-fashioned games for the kids. 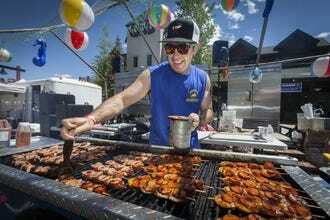 More than 70 barbecue competitors and seven bands will feature at the Colorado BBQ Challenge (June 16-18) during its 23rd installment in 2016. Other events include the Bacon Burner 6k, whiskey tours at Breckenridge Distillery, live music, demos, pig races and kids activities. Each Memorial Day Weekend, Papa Joe's Banjo-B-Que Music Festival (27-28) brings lip smacking 'cue, a stellar music lineup, pig races, a petting zoo, kids activities and local libations to the town of Evans, Georgia. Willie Nelson and Family, along with Old Crow Medicine Show, headline the 2016 event. Some 300 teams from around the U.S., Canada and Europe descend upon Lake Placid to compete in the I Love BBQ and Music Festival (July 2-4). Nearly 200 live bands entertain the crowds during the event, which also features an antique car and motorcycle parade, stunt team shows and kids activities. 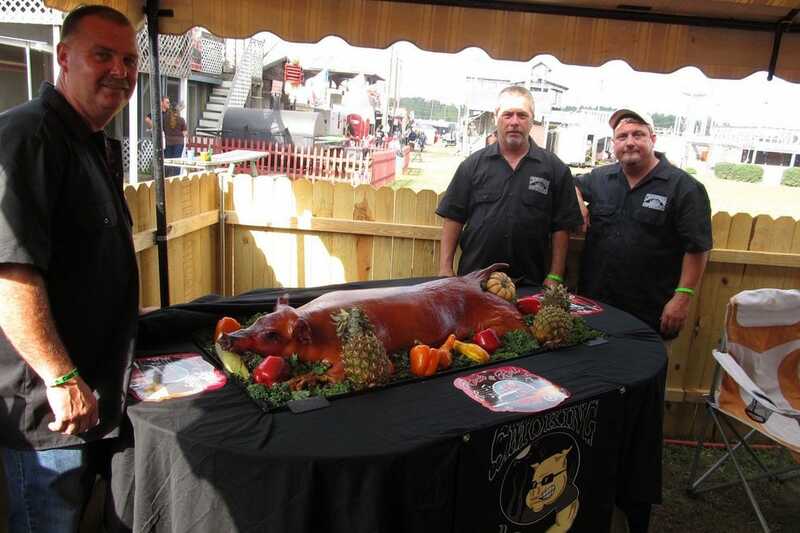 In 1982 a group of foodies in Vienna, Georgia made a bet on who could cook the most succulent hog, and the Big Pig Jig (November 4-5) was born. While the smokers are hard at work, attendees enjoy live music, kids activities, a craft market and plenty of food. 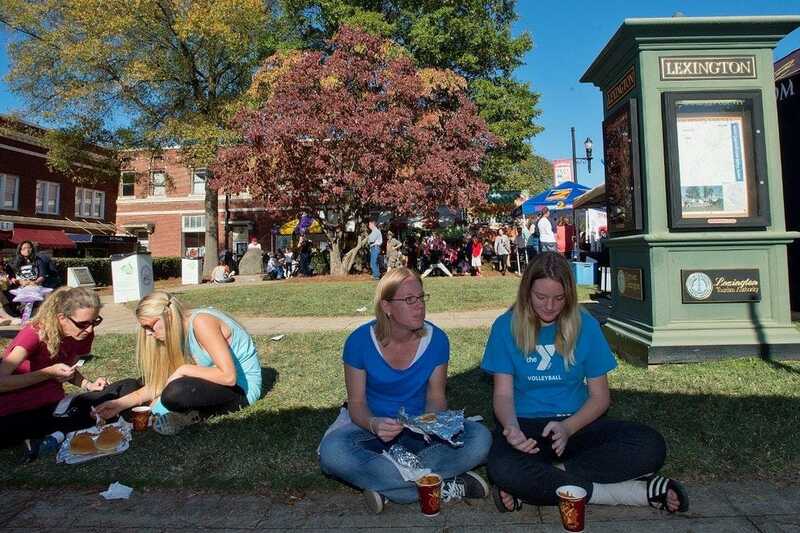 Lexington, North Carolina calls itself the Barbecue Capital of the World, and their contribution to the competitive 'cue calendar is simply called The Barbecue Festival (October 22). 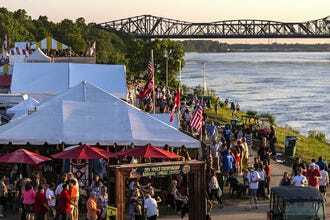 The free event lasts a full day and includes chopped BBQ sandwiches, a wine garden, carnival and kids area, 50-ton sand sculpture, juried arts show, antique car show, pig races, bicycle stunt show and lumberjack sports competition. Best in the West Nugget Rib Cook-off - Sparks, Nev.
International Bar-B-Q Festival - Owensboro, Ky.
Tupelo BBQ Duel - Tupelo, Miss. Jack Daniel's World Championship Invitational - Lynchburg, Tenn.
Colorado BBQ Challenge - Frisco, Colo.
Papa Joe's Banjo-B-Que Music Festival - Evans, Ga. 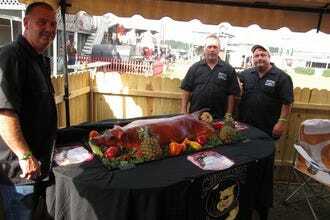 I Love BBQ and Music Festival - Lake Placid, N.Y.
Big Pig Jig - Vienna, Ga. 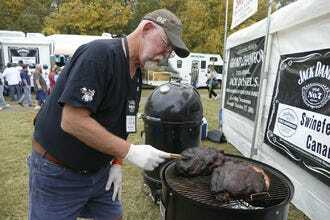 The Barbecue Festival - Lexington, N.C.
A panel of experts picked the initial 20 nominees, and the top 10 winners were determined by popular vote. Experts Ardie A. Davis (America’s Best BBQ, Revised) and competitive pit master Rod Gray were chosen based on their experience in the barbecue festival circuit. Other nominated festivals included American Royal World Series of Barbecue, Big Apple Barbecue Block Party, Blue Ridge BBQ & Music Festival, Giant National Capital Barbecue Battle, Great Lenexa BBQ Battle, Lakeland Pigfest, Kickin' It Country Whole Hog Cook-Off, New Jersey State Barbecue Championship, South Carolina Festival of Discovery and World's Championship Bar-B-Que. Congratulations to all our winning festivals! Kansas City freelance writer Ardie A. Davis misses the years when the late Arthur Bryant presided at his famous “grease house,” birthplace of the original true burnt ends. Mr. Bryant’s burnt end scraps from brisket trimmings were free. Davis, raised in Oklahoma City, has called Kansas City home for more than 40 years. 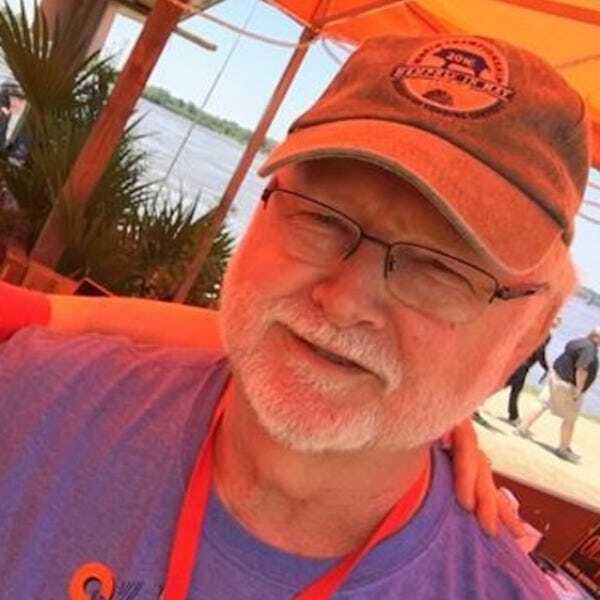 He has authored or co-authored 11 books about barbecue and pens monthly columns for the KC BullSheet and National Barbecue News. His Kansas City Star Chow Town barbecue blog appears online on Thursdays. Davis’ most recent books are America’s Best BBQ, Revised, with Chef Paul Kirk, and Barbecue Lovers Kansas City Style. Rod Gray is serious about barbecue. 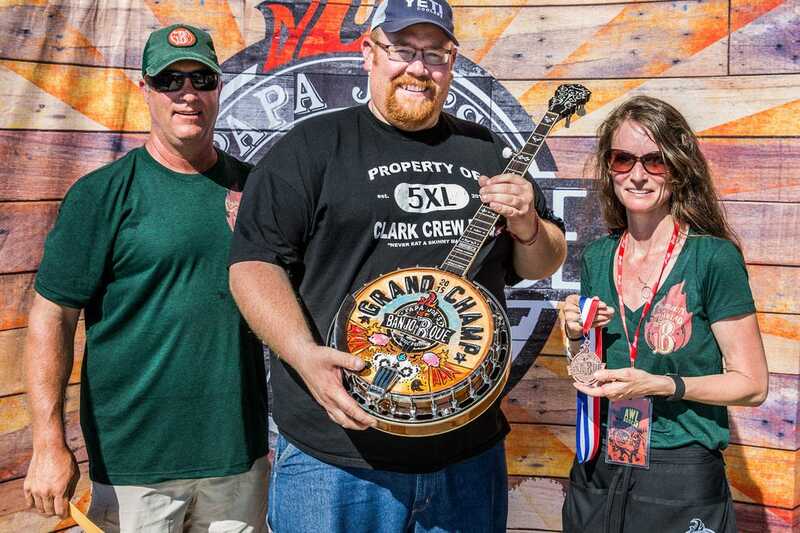 A full time pitmaster and barbecue competitor, he has competed in nearly 500 contests in the past 16 years and is a National Barbecue Champion. 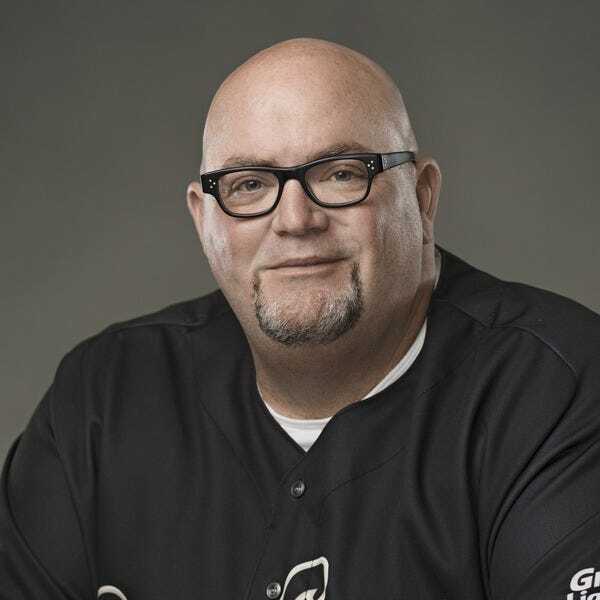 Featured on the hit television show BBQ Pitmasters many times, Rod remains undefeated, and won the whole thing, being crowned Kingsford's BBQ Pitmaster Grand Champion. Calling Kansas City home, a city best known for it's barbecue, and backed by YETI Coolers, Victorinox and the Kansas City BBQ Store, he travels the country cooking, competing and teaching his brand of barbecue. He's even launched his own line of award winning rubs and sauces, called EAT Barbecue. Look for his rubs and sauces across the country in Kroger family grocery stores, and in the hands of serious barbecue competitors. His EAT Barbecue brand is racking up win after win for his Pellet Envy team and his competitors alike.